Many people that find themselves in the woods with no edible resources other than mushrooms may be tempted to give them a try. 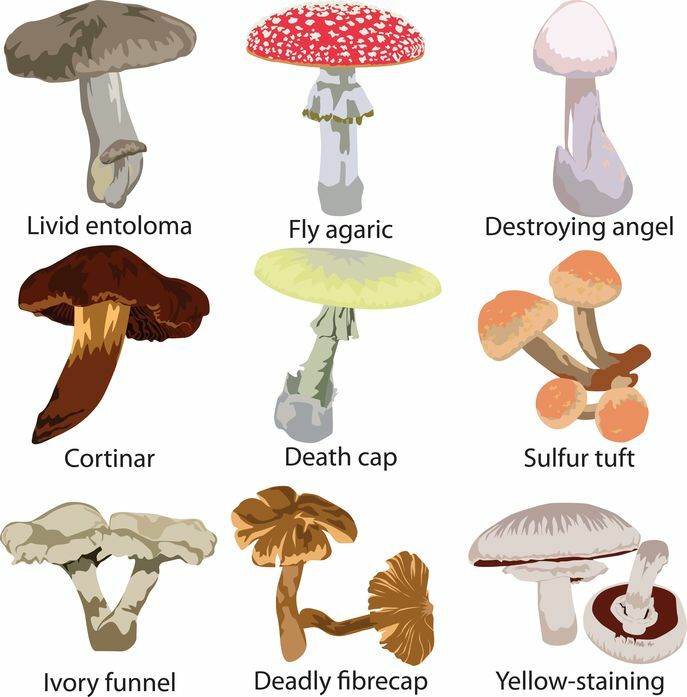 It’s not easy to know exactly which species of mushroom is safe to eat, and which ones can kill you. Making a mistake can kill you, so you really have to know what you’re doing. On the other hand, you won’t be hurt if you burn the wrong type of mushroom, but knowing what to choose to start a fire will help you for sure. 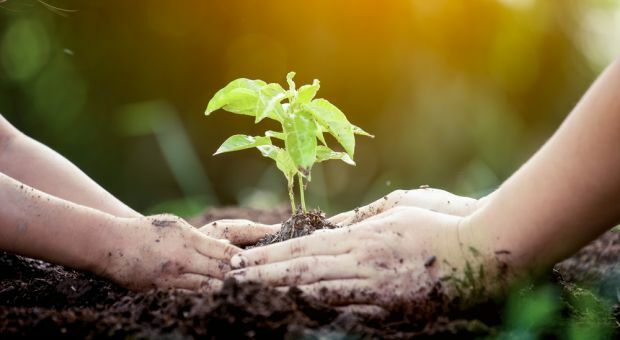 Take a moment and get a few tips on how to recognize and use this natural resource for food and fire! Simply assuming that mushrooms eaten by animals will also be edible to humans is a mistake. Consider that humans can consume chocolate with absolutely no ill effect (and may even consider chocolate medicinal and downright miraculously curative), yet dogs can die if they eat even small amounts of chocolate. 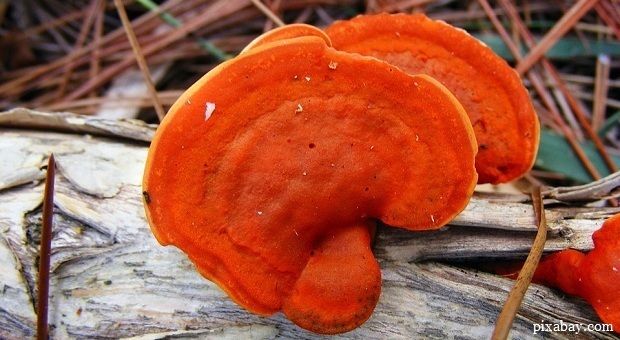 By the same token, animals can eat mushrooms that have chemicals in them that are poisonous to humans. Avoid mushrooms that are red colored or have red on them. These mushrooms are like many other living things in nature. Their bright colors are meant as a warning to stay away from them. Some white or dull colored mushrooms are also some of the most deadly. Mushrooms with a bulbous base, or a skirt around the stem can also be poisonous. You should also avoid mushrooms with white gills. If you touch the gills on a Milkcap mushroom, it will emit liquid or “milk”. Even though some mushrooms in this family are safe to eat, most are toxic. It is best to avoid all of them until you know which ones are safe and which ones aren’t in the area you are traveling through. If you have ever tried to survive on foods gathered from nature, then you know that experimenting with unknown food types is vital. With the exception of mushrooms, you can use the Universal Edibility Test to determine if the item is safe to eat. The poisons some mushrooms house can take days, or even weeks to kill. Some poisons may slowly attack and destroy your liver, while others will cause toxic, and eventually fatal buildups in other organs. Other mushrooms cause hallucinations, which can lead to accidents, injury, and death. 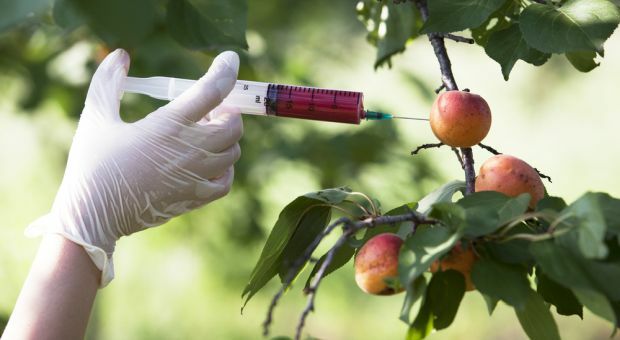 Since just one bite of a poisonous mushroom can get you killed, you just can’t rely on these tests to evaluate them as a food source. If you can get a field guide for the area you are foraging in, they can help you identify mushrooms that are safe to eat, and build your list into a table based on the mushrooms that you encounter. Here are the basic fields your table should have, or the questions you should be able to answer about each mushroom that you encounter. Keep a few pages for spore prints (once you know how to make them safely) or other tests that will help you compare patterns later on. What season are you encountering the mushroom in? As with many plants, fungi also have set temperature, humidity, and lighting requirements. 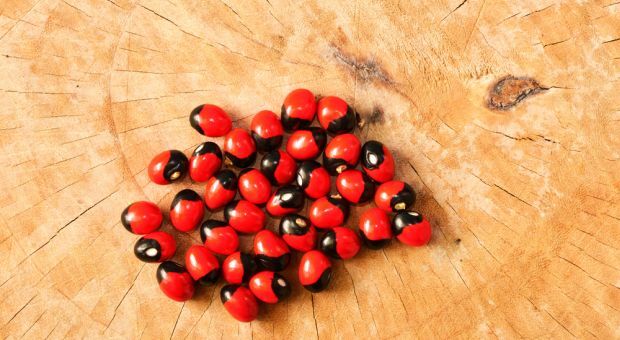 In some cases, a poisonous strain that looks like a safe one may pop up during a different season. While it is possible for them to overlap if temperatures are unstable, you can still count this data and compare it with other features. Where is the mushroom growing? Contrary to popular belief, mushrooms won’t grow in just any place with sufficient dead material to live on. For example, some mushroom species will only live on a certain tree type, and cannot be raised in fields, or on other wood types or parts of the same tree. Also, edible mushrooms may differ from poisonous counterparts because they grow on different kinds of dead material. How are the mushrooms growing in relation to each other? In some cases, edible mushrooms may grow in a ring, while poisonous ones grow in tufts, or vice versa. Pay attention to where each mushroom of the same strain is in relation to the others. You’ll still need to rely on other tests, as you never know if an animal or something else came along and disrupted the original growing pattern of the mushroom crop. What color is the exposed side of the mushroom cap? What does its texture look and feel like? How big is the mushroom cap? If you have ever watched mushrooms crop up overnight, then you may already know that some emerge as small buttons that quickly form wider, flat cap shapes. Others will emerge almost fully sized and then fall apart within a matter of days. 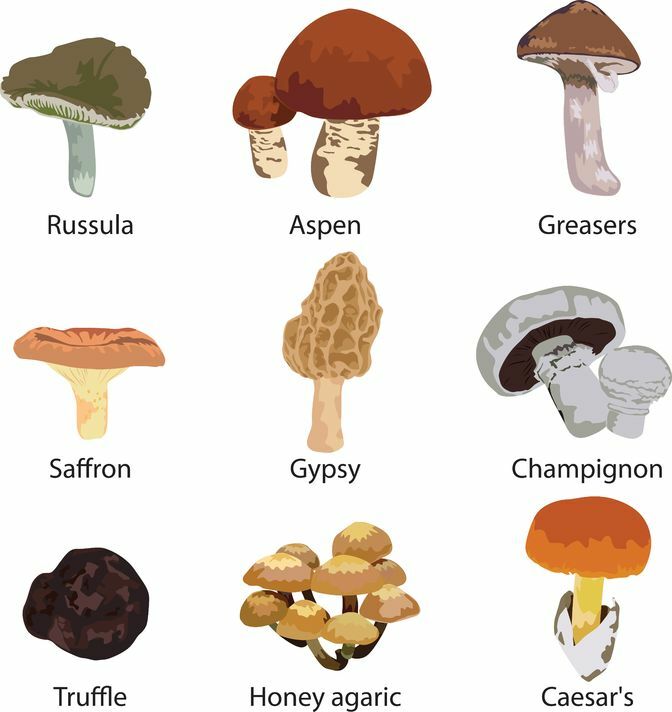 There is still a maximum size for various mushroom species that you can use to help try and identify them. If the mushroom has gills or other markings underneath, what is their pattern? You may notice forks in the gills, or other shapes that will help you distinguish between a poisonous mushroom and a safe one. Make note of how the gills or underside parts feel. Are they brittle or do they bend easily? Do they appear close together? Are the underside structures attached to the stem? What color are the gills, or if the mushroom does not have gills, what color is in the area where the gills would be? Does the mushroom have a bulb at its base? Does it have a ring around the stem? Is the mushroom brightly colored or red? How does the mushroom smell? Does it have a pleasant “mushroomy” odor, or does it smell acrid, like iodine, otherwise unpleasant? (In many cases, pleasant smelling mushrooms are more likely safe to eat. Still, every person’s sense of smell is different, and some people may consider iodine a pleasant smell and actually be nauseated by the odor of an edible mushroom). Pay attention to how the mushroom’s flesh changes color when cut or bruised. If you have some lye available, you can expose some mushroom flesh to it. In some instances, the color change and what the color changes to may be the best test you can use to confirm which species of mushroom you are dealing with. What color are the spore prints? While it can take several hours for the spores to drop onto paper, they will give you some very important information that will help you identify the mushroom you are dealing with. As with potatoes and some other foods we take for granted as being edible, some mushrooms need to be cooked in order to be edible. When scavenging for edible mushrooms, list this information as well so that you know how to prepare the mushroom safely after harvesting it. Humans have been using mushrooms for survival for thousands of years. Certain kinds of mushrooms were widely favored for medicine, food, and even starting fires. Knowing the characteristics of polypore mushrooms can give you an enormous advantage if you need to start a fire, or carry a smoldering ember from one place to another. There are also other strains of mushrooms for the same purpose, but they may not be as effective. Do you wonder how to recognize a polypore? This mushroom type usually grows on rotting wood. You’ll notice ridges of hard material growing out from tree trunks, as well as near areas where the tree trunk is covered with moss. Polypores usually have hard, almost woody caps that may have a smooth or rough texture. They may also be brown, gray, or multi-colored. Some polypores also look like “shelves” extending from the surface they are growing on. Depending on the species of mushroom, they can grow quickly, while others may take years to produce a good sized cap. If you look underneath the cap of a polypore, you will more than likely find tubes or pores instead of gills. Even though the polypores grow on tree trunks, there are others that grow on or near the roots of trees. In many cases, these mushrooms form a symbiotic relationship with the trees: they can help the tree communicate with other trees in the area by sending certain chemical signals. Mushrooms can also cleanse the soil of contaminants, or change the pH to one that is more amenable to the the tree species in question. Polypores may also offer increased resistance to disease, insects, and other organisms that might otherwise cause damage to the roots of the trees. As you learn more about these kinds of polypores, you may be surprised at how many uses humans have for them. Start off by locating some woody polypore mushrooms. Do not be concerned if they have a hard outer surface that cannot be broken or cracked easily. Take a knife or other sharp object, and dig into the cap. You should reach a soft interior that feels something like felt. Pull off the hard outer shell of the cap until you have the felty inner surface to work with. Next, you can shred the inner soft part of the cap, or cut it into thin slices. You may also want to crush the soft part to make something of a chunky powder. If you can, try to set aside some slightly thicker slices. Later on, once you have the fire going, you can use these bits to make charcoal, and also something similar to tinder cloth. To start a fire using mushrooms, simply use your favorite sparking method and then use the mushrooms for tinder. Even though the mushroom will smolder quite a bit, surrounding dry tinder will ignite easily enough. Today, many people interested in survival and off gridding make it a point to study as many different ways to start a fire as possible. Human history is also filled with a number of interesting, albeit strange methods and devices. In this case, lets have a look at how the Vikings used Polypores to start fires, and also carry the embers need to start a new fire from one location to another. As with most other methods used to build fires with polypores, the Vikings also started off by separating the hard outer shell from the soft interior. Next, they cut this cut the softer part into thin slices, and then beat them until the became soft and pliable. After using a method similar to what you would use to make tinder cloth, only with the mushroom bits, the Vikings went on to boil the mushroom bits in urine. Since urine has sodium nitrate in it, the resulting charred mushroom ignited more easily. It would also smolder for days on end, which made it safer and easier to carry from one location to another. 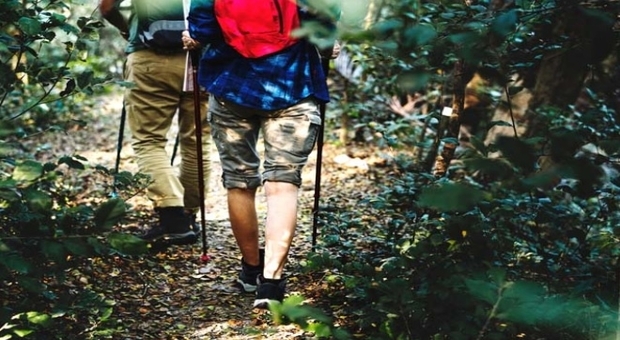 If you don’t go camping very often, or have not had to try and live in the woods for a prolonged period of time, it is easy enough to dismiss mushrooms as a source of survival food and fire. On the other hand, mushrooms are some of the oldest and most resilient organisms on the planet. This, in turn means that many catastrophic disasters that will wipe out other organisms may not do much damage to mushrooms. It might take some work and effort to learn how to classify mushrooms, it will be well worth it. They might save your life one day! Interesting article. There are some edible mushrooms that are easy to identify and totaly safe to eat. The morells come to mind. They have no unsafe, looks close, mushroom. Those types are an easy starting point learning about mushrooms. Interesting about fire starters. That was new to me. I cannot find on the internet what I have here,. It is an orange, free standing polypore also orange underneath. It is about 2 1/2 inches across, parasol shaped and the stem has small reddish spots. I found Cinnabar polypore the other day (growing on a Birch tree) and this is not it. Thanks. several specimens of old man of the woods near me, Grafton, nh and other outliers. Oh, I DO the 1st one and I never eat uncooked mushrooms, the chitin does not break down to make the good stuff available to me unless I cook them, we all know that. But I see many strange fungi from spring through when my boletes come up and I try to expand my wilding knowledge, like through here. So, you are stumped on my question (like carmella) too ? False morels are solid inside. I found some and even from a distance they looked funny, but like morels I found them in a spot where morels GROW. I hunted MORELs for years with friends who knew mushrooms, then for years would take them my finds AN one year they said you know these and I did. Through these friends I did learn how to find other ” choice” EDIBLES. I think anyone who wants to learn should find people who know and hunt with them for years and years. My kids went everywhere with us and grew up hunting mushrooms and just about everything you can forage on the east coast.